Reports to the General Manager/ Corporation Resources Management. Headquarters of the Tanzania Posts Corporation in Dar es Salaam. To regularly undertake macro and micro studies of the postal markets to determine short and long term development trend and advise appropriate strategic direction to take in order to maximize the commercial prospects and opportunities for achieving national postal policy objectives and sustainable economic prosperity of the postal enterprise. Coordinate and prepare annual development programs relating to expansion,rehabilitation,modernization and renovation of the postal network facilities to ensure adequate national coverage for access to efficient,reliable secure and affordable services as many people as possible. Responsible for coordinating the preparation of the Strategic Business Plan and monitoring its implementation to ensure achievement to stated goals. To undertake economic study and research as well as development activities with a view to introducing innovative product and services, cost effective production and delivery process including the application of new technologies for the modernization of services to keep the Corporation abreast of emerging market requirement and customer need. 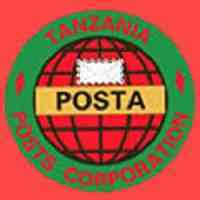 To maintain lose collaboration with Tanzania Communication Regulatory Authority in the Implementation of Physical Addressing and Post Code Project. To prepare special development plans or projects and negotiate funding requirement for purposes of soliciting external sources of funding. To consolidate and analyze business performance data and information to determine emerge trends of business growth, productivity, quality of service, customer satisfaction, revenue generation and profitability. To monitor and review all building/construction works to ensure that contracts works are implemented according to agreed plans and time framework to avoid unnecessary delays that lead to cost escalations and /or project abandonment. Responsible for the preparation and publication of annual corporate Statistical Bulletin. Any other duties related to the above as may be assigned by higher Authority. Possession of Masters Degree in or Postgraduate qualification in the above fields will be and added advantage. Eight (8) years of working experience in the filed of planning environment in a reputable large organization. The successful candidate will be stationed at the Corporation’s Headquarters in Dar-es-Salaam and shall report directly to the Postmster General & CEO. To ensure worker’s optimum safetly and security and to endure that all types of assets owned and entrusted to the Corporation are safe and secured. To ensure optimum security and safety in the provision of postal and ancillary services according to the Corporation’s policy objectives and mission. To develop/review, implement and evaluate safety and security programmes and activities. To handle expeditiously all complaints, inquiries and allegations submitted by TPC stakeholders and provide advise to the higher management. To undertake investigation of thefts, frauds and crimes committed against the Corporation and liaise with Police in the prosecution process. To manage and coordinate efficiently the utilization of resources entrusted to Security and Investigation Unit. To manage security and safety prevention surveillance and awareness programmes so as to prevent/ minimize thefts, frauds and malpractice incidents. The holder of this post must have a University Degree in Law Enforcement, Safety & Security Management, Materials Management or Social Science from a recognized university with not less than five (5) years experience in police force, national security, safety and investigation duties preferably in the government and/or public institutions. Postgraduate studies in Laws, Security and Safety Management and/or Public Management will have an added advantage. Proven leadership skills, abilities in large organization and able to work well under pressure and tight schedule/deadlines and travel extensively. Ability to ability guidance, counsel and technical support to employees drawn from a variety of social, religious and cultural background. Excellent communication skills and demonstrated ability to prepare various reports with accuracy and attention to details. Abide by the voluntary principles of security and human right through daily conduct. Abide by Postal and Civil Servant Cardinal Rules and Regulations as well as Security Code of Conduct. Follow all Tanzanian laws pertaining of duty (use of force Is forbidden). Outstanding communication skills – oral, Written and presention in both English and Kiswahili. Possess high level of integrity, honest, credibility and trustworthy. Ability to analyze and articulate large amounts of complex issues/problems and think strategically to foresee, identity and mitigate them. Computer literate at least Microsoft Office applications. Ability to interact and influence others to achieve results without line management responsibility. Fast learner with acceptable and credible attitude and ardent Team Player. The above post carries competitive remuneration as per Tanzania Posts Corporation salary structure. Applications be sent by registered mails or EMS courier. Application sent by fax or electronically shall not be considered.